In its latest Broadcast Bulletin published today, Ofcom has said that the use of graphic footage of the killing of Lee Rigby, did not, in the circumstances and context in which it was shown, breach the Ofcom Broadcast Code. Various broadcasters including the BBC, ITV, Channel 4 and Sky had included footage taken by members of the public on their mobile phones directly at the murder scene in Woolwich on 22 May last year. The use of the footage attracted around 680 complaints with viewers upset that the images were too graphic, insensitive to the family of Rigby as well as considerations over the impact they may have on younger viewers. Additionally, viewers complained that the use of one piece of footage showing one of the attackers speaking to camera, could be seen as providing him with a platform to seek to justify his actions. Having reviewed all the material as well as carried out a separate investigation into how the broadcasters had reported the incident overall on the day, Ofcom decided that there had been no breach of the Code. Ofcom concluded that “While the coverage was detailed and at times distressing, we did not consider that the images were too offensive for broadcast given they were appropriately scheduled and justified by thecontext.” Ofcom did however go on to set out some guidance to broadcasters on, for example, the need to give appropriate warnings to viewers before broadcasting material which might cause offence or distress to viewers. 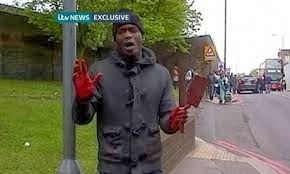 The unprovoked attack on Lee Rigby on 22 May 2013 was horrifyingly brutal and violent. As the scene unfolded, while some members of the public were trying to help save Rigby, at least two people used their mobile phones to film Rigby and then the two suspects, one of whom was speaking straight to the camera while wielding a blood-covered machete in his hand. The grotesque nature of the incident soon saw it widely reported on several TV and radio broadcasts during the day as well as online. While some broadcasters decided not to show the footage, several did include in within their programmes. As is commonplace nowadays, the footage spread rapidly across social media mediums. the Muslim Council of Great Britain released a statement publicly condemning the attack. “Ofcom was informed by ITV that in the hours that followed the incident the ITV news desk made contact with one witness who had footage of the aftermath of the incident filmed at the scene on his mobile telephone. This individual travelled to ITN’s studios2, arriving at approximately 17:45. ITV informed Ofcom that once ITV News had satisfied itself that the person who filmed the incident was not linked to the incident and was genuinely a member of the public who happened to be there at the time, the footage was transferred to the ITV News digital server and first broadcast in the second part of the ITV London Tonightbulletin at approximately 18:20. During the course of the evening other television services broadcast the footage originally shown on ITV London Tonight, although edited and presented in various ways. Editing techniques included blurring images of the victim and the face of one of the alleged attackers, shortening the sequences in question and not broadcasting the audio of the alleged attacker when he spoke directly to camera. the descriptions of the attack were strong, but justifiably so given they were describing what was known about this shocking incident on the basis of eye witness reports at the time. Under the Communications Act 2003, Ofcom has a statutory duty to set standards for broadcast content as appear to it best calculated to secure the standards objectives, including that “persons under the age of eighteen are protected” and “generally accepted standards are applied to the contents of television and radio services so as to provide adequate protection for members of the public from the inclusion in such services of offensive and harmful material”. These duties are reflected in Section One (Protecting the Under-Eighteens) and Section Two (Harm and Offence) of the Code. Rule 1.3 requires that children must be protected by appropriate scheduling from material that is unsuitable for them. Rule 1.5 states that radio broadcasters must have particular regards to times when children are particularly likely to be listening. Rule 2.3 requires broadcasters to ensure that the broadcast of potentially offensive material must be justified by the context. In reaching its decisions in this case, Ofcom has taken account of the right to freedom of expression of the broadcaster and of the audience. This is set out in Article 10 of the European Convention on Human Rights, which encompasses the right to hold opinions and to receive and impart information and ideas without interference by public authority. Ofcom must balance this against its duties to ensure that under-eighteens are protected from material that is unsuitable for them, and to provide adequate protection for members of the public from potentially offensive material. The Code contains no absolute prohibition on distressing or graphic content as there may be occasions where the broadcast of such material is justified. Ofcom believes that, taking account of the right to freedom of expression, it is important for news programmes to be able to report freely on events which the broadcasters consider to be in the public interest. However when broadcasting distressing material broadcasters must comply with Rule 1.3 (to protect the under-eighteens), Rule 2.3 (to apply generally accepted standards) and for radio, Rule 1.5 (when children are particularly likely to be listening). While having decided there had not been any breach of the Code, Ofcom was however concerned about some of the coverage and issued the following guidance. 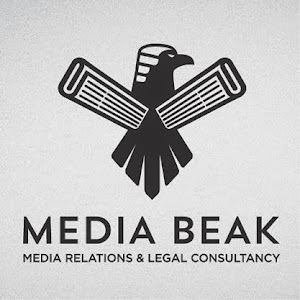 “Ofcom recognises that when covering a breaking and important news story, especially where the subject matter and associated audio visual material is potentially distressing and offensive, important and timely editorial judgement is required. Television journalists must balance the need to inform the public fully and in a timely way in a competitive news environment against the requirements of the Code. In this particular bulletin we noted Sequence One was shown four times on ‘a loop’, without audio, and without being preceded by any specific warning. We noted that ITV said that with hindsight some form of explicit warning should have been broadcast before this material was shown. While Ofcom agreed with ITV that sufficient information had in fact been given to viewers through the content shown before Sequence One was broadcast, we considered that an explicit warning would have been preferable given the shocking nature of the images. Further we were concerned about the repetition of the same material four times without audio, particularly as this was the first time this material was shown on UK television and no warning had been given beforehand. Ofcom recognised that ITV News understandably wished to broadcast this powerful (and exclusive) material to viewers as soon as possible. Nonetheless, while acknowledging these sorts of pressures, Ofcom urges news broadcasters always to consider giving explicit warnings before broadcasting challenging material before the watershed, and not repeating potentially offensive material in a way that some may perceive as gratuitous. Similarly we noted the BBC’s view that it would have been preferable if the broadcast of the clip of the alleged attacker from Sequence One had been preceded by an explicit warning. Ofcom agreed. We were also concerned that BBC Four opts in to BBC World News, which is an international 24-hour rolling news service, and that the BBC said it therefore “cannot be tailored to suit any one time zone in terms of compliance”. Whatever a broadcaster’s scheduling arrangements, it must (as the BBC recognises) ensure compliance with the Code at all times. We note that World News Today’s compliance procedures have been revised to take into account the need for audience warnings as appropriate when the programme is broadcast. With regard to the broadcast on Al Jazeera, we noted that there was no warning given to viewers prior to the broadcast of Sequence One. We noted that Al Jazeera acknowledged that with hindsight an explicit warning would have been preferable before this material was shown.. In our view the sequences that showed images of the alleged attackers (particularly Sequence One) and the body of the victim on a London Street were disturbing, regardless of the nature of the service, and therefore in Ofcom’s opinion the broadcaster could usefully have warned viewers in advance. Dedicated news channels regularly include images of violence from warzones and terrorist attacks abroad. Nonetheless, when showing distressing images broadcasters should ensure adequate protection is afforded to audiences from harmful and/or offensive material. No advance warning was given to listeners in this case before LBC broadcast a live interview with an eyewitness who gave a fairly graphic account of the killing. Ofcom advises that, before broadcasting a live interview or material where it can be (as here) reasonably anticipated that the interview or material may contain distressing content, broadcasters should seriously consider giving an appropriate advance warning to listeners or viewers. The contextual argument is a daily one for broadcasters and media generally for it shapes the background against which news evolves and revolves and also how the media treat a story and its surrounding material. In this case the broadcasters (and ITV’s review and treatment of the footage pre broadcast) had given consideration to the nature of the material and edited (to varying degrees) sections of the footage. So crucial is not just that a story is, as the Press Association labelled it ‘a Serious Incident’ and in the public interest but also how the material is gathered and used (ITV ascertained that the person who provided the footage of the attacker speaking to camera was in no way linked to the attacker – and therefore seeking to give him a platform). Showing harrowing footage will always shock some viewers but it is also (or has also sadly become) part of the reality of news. Ofcom took into account that not dissimilar footage (albeit differing circumstances) is shown in relation to war zones and terrorist attacks across the world. While deeply uncomfortable and appreciably distressing for Rigby’s family and friends to view, would it be right to sanitise the shocking reality of event and reporting of it? If one starts cleansing what one sees on television or in other media then is this not placing a false sticking plaster across the uncomfortable images and facts that make the story real in the first place? Broadcasters have over the years been in debate and called into question over their use of images, for example some of the images of the London bombings in 2005 – see my comment on the debate around preventing the press from publishing photos of alleged terrorists; or al-Jazeera showing terrorist footage – see comment on why the media should be allow to use the same mechanism as terrorists to get to the truth that lies beyond and behind the lens; or the BBC’s decision to show bodies of dead British soldiers in Iraq. So as today’s Ofcom decision confirms, it is appropriate for media to keep the news real, provided it is considered and contextually justified.